The plaintiffs argued that Isabella’s accident could have been avoided if the Durham School Services had warned the parents against mid-block crossings. The parents of the children who got on the bus from the same bus stop as Isabella Sanchez testified that all of the children crossed the street at mid-block rather than by using the marked crosswalk at a nearby intersection in order to catch the bus. In its policies and procedures, Durham School Services drivers were supposed to notify the San Bernardino School District when they witnessed mid-block crossings. Both the school district and Durham had witnesses who testified that they had progressive discipline systems in place for parents and children who crossed mid-block. However, all of the parents whose children used that bus stop testified that they were never warned about mid-block crossings in full view of the bus drivers. The district also testified that it never received any reports of mid-block crossings from any of its bus drivers. Durham School Services argued that it did not cause the girl to run into the street. It also argued that the girl and her mother were at fault in the accident because the girl’s actions caused it, and her mother had not taught her the right way to cross the street. The defendants also argued that their drivers had not witnessed any mid-block crossings, so they did not have any notice that they were occurring. Before trial, Durham School Services made a final offer of $2 million, but the plaintiffs did not accept it. During the trial, the plaintiffs made a demand of $20 million, which was not accepted by the defendant. The plaintiffs settled the claim against Subaru driver Lillian Thanh Vo for $50,000, but she remained in the case because the judge did not approve the settlement until the trial’s conclusion. After a trial that lasted for five weeks, the jury deliberated for two days before returning with a verdict in favor of the plaintiff in the gross amount of $$36,143,291. Carina Sanchez, the plaintiff’s mother, was found to be 20 percent at fault, so the award of noneconomic damages was reduced by that amount. Durham School Services was ordered to pay $32,943,291 after the 20 percent reduction of the gross award, and the school’s bus driver was found to be jointly and severally liable along with Durham School Services to pay $24,943,291. In California, school bus drivers have a duty to warn parents and children about dangerous conditions about which they are aware. If they have no notice of these conditions, they will not be liable. In this case, the other parents’ testimony that all of the children crossed the street in the same manner that the plaintiff did in full view of the drivers was enough to show that the bus drivers should have reasonably known that the children were crossing the street at mid-block and so had adequate notice of the danger. The failure to warn the parents and to notify the school district formed the basis of liability. 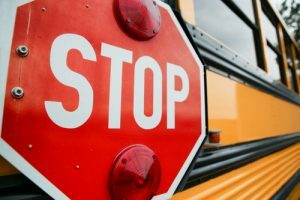 Even though Durham School Services did not receive reports from its bus drivers of mid-block crossings, it was still held to be liable in the lawsuit along with the bus driver. Employers hold vicarious liability when the negligence of their employees while they are acting in the course and scope of their employment results in injuries to others. The finding that Carina Sanchez was 20 percent at fault in the accident demonstrates the principle of comparative negligence. California follows the doctrine of pure comparative negligence. Under it, the jury will determine the percentage of fault that is held by each of the parties. If the plaintiff holds any of the fault, his or her award will be reduced by the percentage that is allocated to him or her. Proving an injury accident case involving the negligence of others can be complex. Experienced Los Angeles personal injury lawyers might understand how to anticipate and to counter potential defense arguments. They may rely on the help of medical experts, investigators and accident reconstruction experts to help them to build strong cases for their clients. Contact an experienced Los Angeles personal injury attorney today to schedule a consultation and to learn more about the rights that you might have.